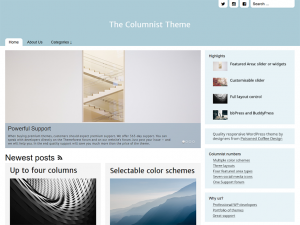 The Columnist Theme is available now. It is elegant magazine-style theme. Responsive, mobile-ready and with beautiful fully customisable slider. You can download and test it. Pro version will be out soon as well. The Columnist can be used to build your site today.